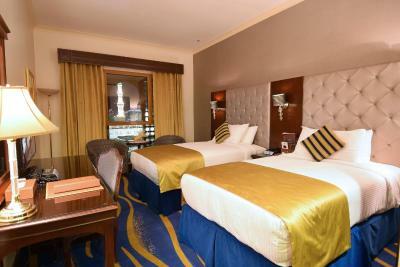 Lock in a great price for Dar Al Taqwa Hotel – rated 8.3 by recent guests! The breakfast fare is varied and plenty. It looks healthy. I had a good breakfast, and so did the rest of my company. 1- The location . 2- The staff . 3- Areas of the rooms . 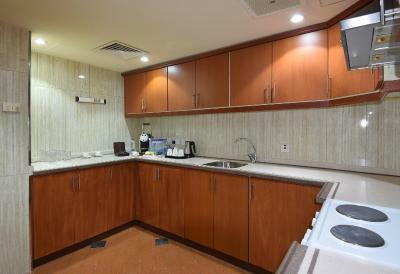 4- The Arabic coffee corner . Just location, everything else the rest was absolutely awful. location is the best especially to ladies as it is in front of their gate of the holy mosque. The rooms are wide and comfortable. The dining area, especially the breakfast was very small and the staff were not friendly at all except if you tip them! Everything was perfect!! Clean, good price and friendly staffs Sure we will come again. Thank you so much. 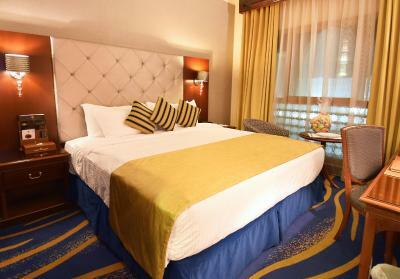 Dar Al Taqwa Hotel This rating is a reflection of how the property compares to the industry standard when it comes to price, facilities and services available. It's based on a self-evaluation by the property. Use this rating to help choose your stay! 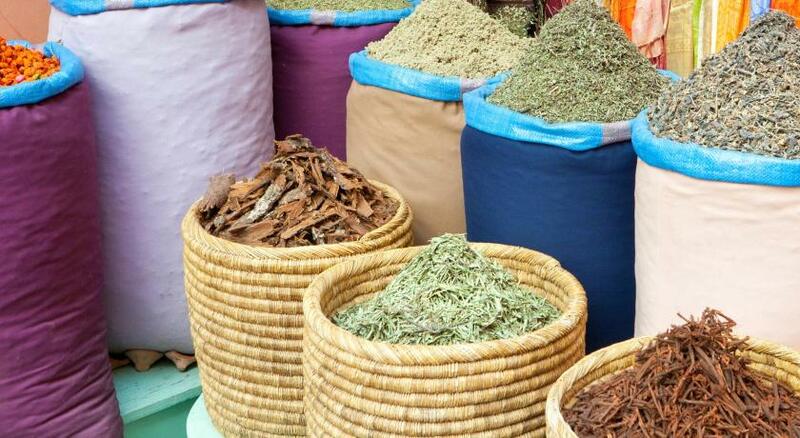 One of our top picks in Medina.This hotel features air-conditioned rooms with a flat-screen TV and a tea garden serving light snacks and desserts. 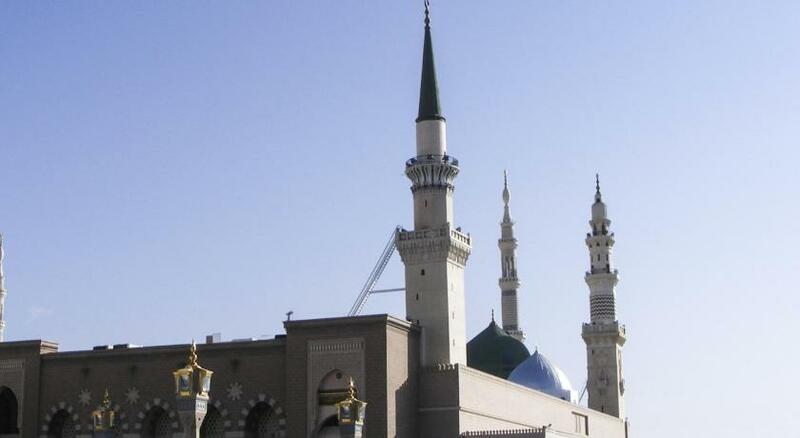 It is less than a 2-minute walk from the Holy Prophet Masjid. Guests can enjoy free WiFi in all the rooms. 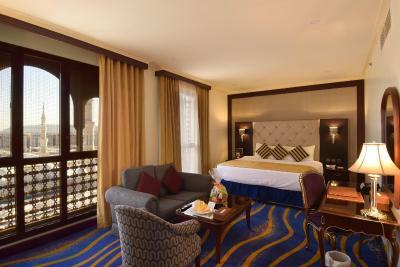 Dar Al Taqwa’s rooms are decorated in soft colors and feature large windows, some of which overlook the Prohpet Masjid. Each room has satellite TV and a well-stocked mini-bar with free items. 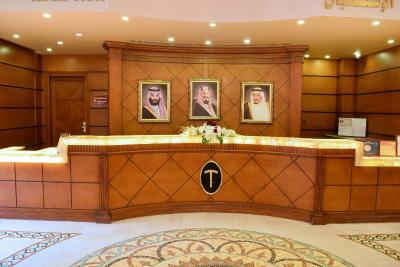 When would you like to stay at Dar Al Taqwa Hotel? 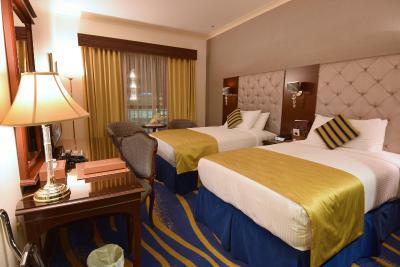 Featuring a Haram view, this warmly decorated room has a satellite flat-screen TV, an electric teakettle and a minibar. The bathroom is equipped with bathtub, shower and slippers. 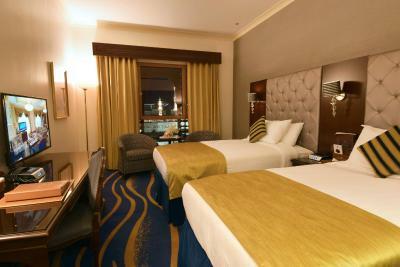 Featuring a Haram view suite offers you a spacious living room with a dining area and a kitchen with large set of sofa. Amenities include a spacious desk equipped with writing table with drawer and writing chair, 26 inches LCD satellite television. 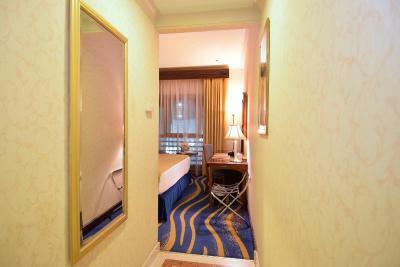 Featuring a city view, this warmly decorated room has a satellite flat-screen TV, an electric teakettle and a minibar. The bathroom is equipped with a bathtub, shower and slippers. Featuring a City view suite offers you a spacious living room with a dining area and a kitchen with a large set of sofa. Amenities include a spacious desk equipped with writing table with drawer and writing chair, 26 inches LCD satellite television. This elegantly decorated VIP Suite. is located on the VIP high floor and featuring views of the Haram, with separate elevators offers a spacious air-conditioned suite includes 4 bedrooms with private bathrooms, living room with a dining area and a kitchen. And large sofa seats. Facilities include a flat-screen TV, mini bar and an electric kettle. The bathroom is fitted with a bath, shower and hairdryer. A driver's room can be booked upon request with minimum charges (not in the suite and advance booking required). This elegantly decorated VIP Suite. is located on the VIP high floor and featuring views of the Haram, with separate elevators offers a spacious air-conditioned suite includes 3 bedrooms with private bathrooms, living room with a dining area and a kitchen. And large sofa seats. Facilities include a flat-screen TV, mini bar and an electric kettle. The bathroom is fitted with a bath, shower and hairdryer. This elegantly decorated VIP Suite is located on the VIP high floor and featuring views of the City, with separate elevators offers a spacious air-conditioned suite includes 2 bedrooms with private bathrooms living room with a dining area and a kitchen. And large sofa seats. Facilities include a flat-screen TV, mini bar and an electric kettle. The bathroom is fitted with a bath, shower and hairdryer. This elegantly decorated VIP Suite is located on the VIP high floor and featuring views of the Haram, with separate elevators offers a spacious living room with a dining area and a kitchen. And large sofa seats. Facilities include free WiFi, a flat-screen TV, mini bar and an electric kettle. The bathroom is fitted with a bath, shower and hairdryer. This elegantly decorated Executive Suite is located on over view of the Haram, offers you a spacious living room with a dining area and a kitchen. And large sofa seats. Facilities include free WiFi, a flat-screen TV, mini bar and an electric kettle. The bathroom is fitted with a bath, shower and hairdryer. This double room features a sofa, electric kettle and dining area. Rooms are 116 square yards. Rooms are 162 square yards. 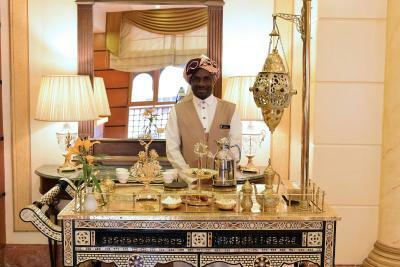 House Rules Dar Al Taqwa Hotel takes special requests – add in the next step! Any additional older children or adults are charged SAR 200 per night for extra beds. Dar Al Taqwa Hotel accepts these cards and reserves the right to temporarily hold an amount prior to arrival. Please note that because of local law, only Muslim guests can access the hotel and the Holy City of Medina. Please inform Dar Al Taqwa Hotel of your expected arrival time in advance. You can use the Special Requests box when booking, or contact the property directly using the contact details in your confirmation.